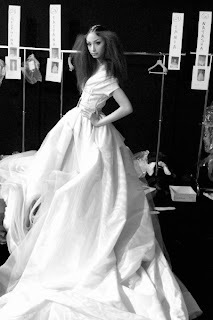 Backstage at the Dior Couture FW09 show. Absolutely breathtaking! Roldofo Paglialunga, the designer at the helm of Vionnet who previously spent 13 years as Miuccia Prada's assistant, provided a look at the Cruise 2010 collection. You can see the contemporary touches he's put on Vionnet's Grecian heritage. Very pretty! 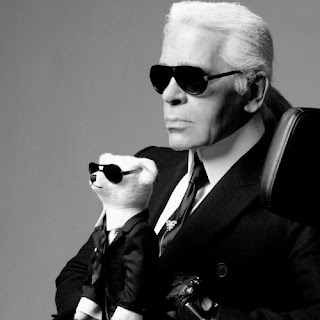 We'll have to wait until Paris Fashion Week in October to see his runway debut for the brand. Can't wait! Olivia Palermo attended a charity event back in May wearing this amazing LBD. I really love the feather detail sleeves. Simple, elegant - perfect! 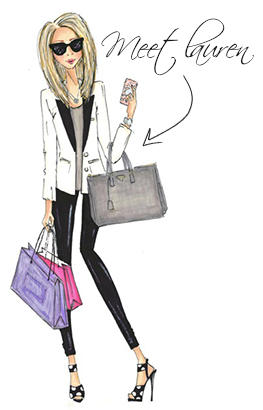 She's also carrying her trusty Crocodile Hermes Jige - LOVE! The cast of Gossip Girl are back to work filming in New York this week. Chuck and B are seen holding hands in the photo above so we can assume they'll stay together for a few episodes next season. Chuck is looking as fashionable as ever. I love the red socks/suspenders look (although his pants are looking pretty tight in the second photo - time for a detox). 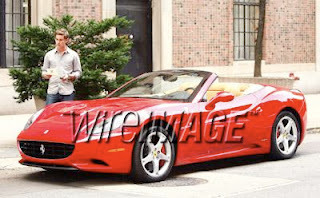 And it looks like Nate's gotten a new red-hot Ferrari. This dress is BANANAS! I am in love! Seriously, the shoulders, beading, colourful pattern, length... LOVE! I actually wish someone else was wearing this because Beyonce typically has such crappy style. In my books she's up there with Shania Twain and Britney when it comes to celebs with money who have sh*tty style. But this... this dress is phenomenal and she looks amazing (at least from her neck to her ankles - her shoes and jewellery are crazy tacky). Matthew Williamson's 2010 Cruise Collection is SO pretty. I love his use of colour, embellishment and feminine detailing. I like all of the pieces but the first two looks are my favourites - I absolutely adore the colourful tie-dye inspired dress with sleeves! Zoe Saldana wore a white Calvin Klein dress and Brian Atwood "Max" shoes to the BET Awards. She killed it - this look is fantastic! Marion Cotillard wore a stunning red Vivienne Westwood dress, oversized Stella McCartney clutch and AMAZING Christian Dior shoes to the UK premiere of Public Enemies in London. So beautiful! Monday's are never fun but today felt especially tough. A little RPatts always makes the day better though. He was onset for his new movie Remember Me today in NY. BTW - Edward > Bill! No question. Isla Fisher wore a green lace-patterned dress from Stella McCartney to the LA premiere of Bruno. Super cute! Anne Hathaway wore a gold strapless pleated organza dress with beaded belt from Marchesa to the opening gala for her Shakespeare in the Park play Twelfth Night. I am obsessed with this dress - SO beautiful! Blake Lively wore a white hot backless Roberto Cavalli dress with mesh detailing to the Swarovski Crystallized NYC Store opening. It looks great on her - Super hot! Unlike the 3.1 Phillip Lim Cruise collection, Balenciaga's Cruise 2010 is not the most wearable collection. Seriously, how short are those skirts! I absolutely LOVE the dresses but I'd definitely need more length. I'm sure we'll see Gwyneth showing off her fabulous legs in one of these super short mini's any day now. "I don't know Heidi Klum. She was never known in France. Claudia Schiffer also doesn't know who she is." Chanel has announced five it-girls - Jen Brill, Poppy Delevigne, Vanessa Traina, Leigh Lexark and Caroline Sieber - as part of their new beauty ambassador program. Not sure what this ambassadorship entails but they have definitely become five it-girls to watch. Talk about a fun job!